Bryanna Clark Grogan’s Vegan Feast Kitchen/ 21st Century Table: VEGAN BLT SALAD, ITALIAN "SAUSAGE" BURGERS WITH ALL THE TRIMMINGS FOR CANADA DAY/JULY 4TH! VEGAN BLT SALAD, ITALIAN "SAUSAGE" BURGERS WITH ALL THE TRIMMINGS FOR CANADA DAY/JULY 4TH! Happy Canada Day (July 1st) my fellow Canadians! And Happy 4th of July to my friends South of the Border! Sorry my blogging has been sparse lately-- lots of family stuff, some great (like my grandaughter's high school grad), and some not so great (like my DIL's physical condition right now), plus a deadline, which has made me a little late with this, I'm afraid! 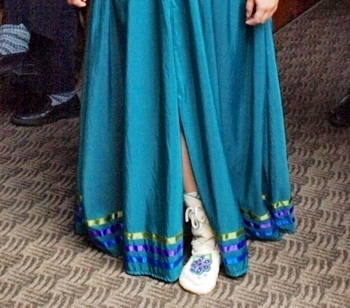 Here's my beautiful granddaughter in her very unique grad dress and moccasins. She is a proud Métis and student representative for the Métis people in our valley to the The Vancouver Island Métis Nation (VIMN). 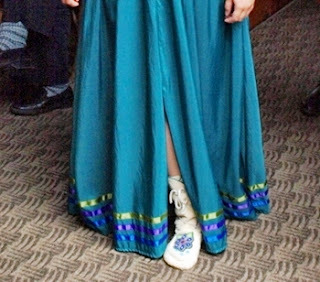 Her lovely dress designed and made for her by Lisa Shepherd, a fabulous Métis designer/artisan/fabric artist/bead worker/dancer who designed for the Vancouver 2010 Olympic Winter Games, and it features traditional Métis bead work and ribbon work. My GD was awarded several bursaries and starts college in the fall, working toward a Bachelor of Social Work, just like her aunt Sarah, who graduated from the University of Victoria 2 weeks ago. She plans to work in Northern BC or the Yukon in future. Hope you enjoy the holidays and eat well! Here are a couple of super summer recipes that might tempt you. 4 slices commercial vegan "bacon" or my homemade Tofu "Bacon"
Divide the salad evenly between 4 salad bowls and serve immediately. A mildly spicy treat with lots of trimmings! The burger is a simpler version (with less salt) of my Italian sausage recipe from "Nonna's Italian Kitchen", made into thick burgers. In a medium bowl, pour the boiling water mixed with the vinegar, soy sauce, Marmite, and tomato paste over the soy protein granules. Let stand for about 5 minutes. Add the mashed tofu, sesame oil and Seasoning Mixture of your choice. Cool this mixture thoroughly (you can speed this up by spreading mixture on a plate and freezing for a few minutes) before adding the gluten powder-- this keeps the gluten from clumping into strings. Place the burgers on cookie sheets and chill thoroughly before stacking with wax paper in between and refrigerating or freezing in a rigid plastic container with a tight cover. 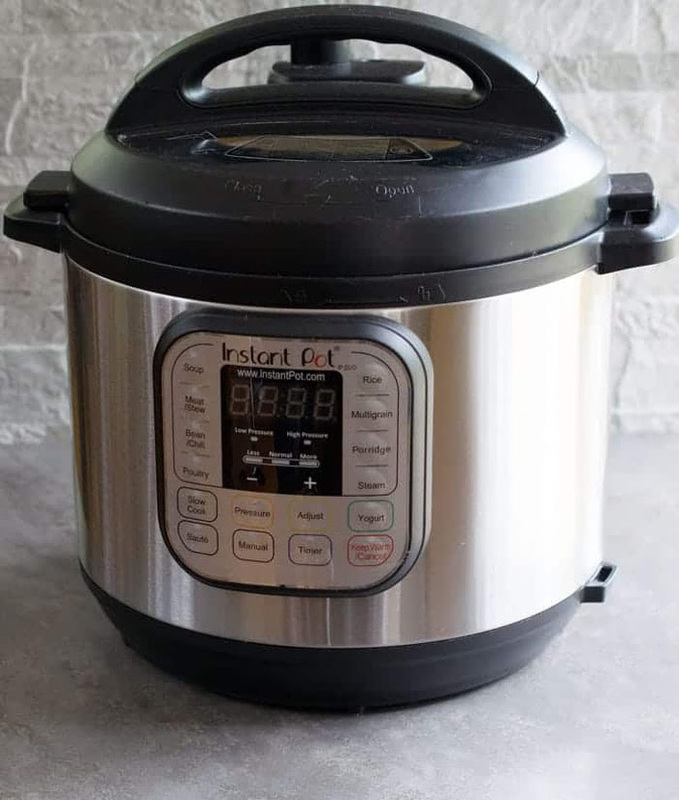 Steaming cooks the gluten and keeps the burgers moist, but also firms them up nicely when cooled, so they can be browned, grilled or added to recipes later. Blend the Tofu Mayonnaise, roasted garlic and olive oil well with a small food processor or hand immersion blender until smooth. Refrigerate. To brown, use a non-stick pan with a bit of olive oil. To grill, brush both sides with a little olive oil or toasted (Asian) sesame oil first. These work well on an electric indoor grill (you can grill onion slices and mushrooms alongside). Lightly toast both sides of the buns while you brown the sausage burgers. Serve with the onions, mushrooms, Tofu Roasted Garlic Aioli, baby greens mixed with a little bit of vinaigrette just to moisten, and any of the other options you want. These will keep a week in the refrigerator in a tightly-covered container. Heat the oven or toaster oven to 400 degrees F. Cut large garlic heads in half horizontally. Place them on foil in a baking pan and drizzle them with about 1 tsp. extra-virgin olive oil per half. Pull the foil up and crinkle it shut. Bake for about one hour, or until the garlic is soft. This looks so great! I am already a devoted fan of your Italian sausage (the fennel seeds just make it!) and I'm sure it's just as good in burger form. I don't comment often on your blog, but want to take this opportunity to thank you formally for making so many of your recipes available for free, online. 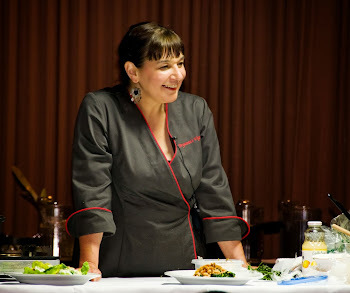 I own several of your cookbooks, love them, and recommend them constantly on my own site, for good reason! Thank you so much for your kind words, Zoa! Your blog is lovely! Hope you're having a super Canada Day! What a stunning dress! Congratulations to your granddaughter. I'll be sure to try the delicious looking blt salad. My CSA basket is very generous in lettuce recently. Have a nice festive week-end, all! Oh, my goodness, that burger is a monstrosity, but it looks amazing! I would try to open my mouth as wide as possible to fit it in. And, then I could feel like a lady afterwards by eating that yummy salad. Lovin these burgers, they look huge and delicious - so totally American (or Canadian?). Thanks for the recipes - and for the nutritional breakdown, that is always always appreciated. Enjoy your holiday! Found your website searching for a vegetarian recipe for a friend. 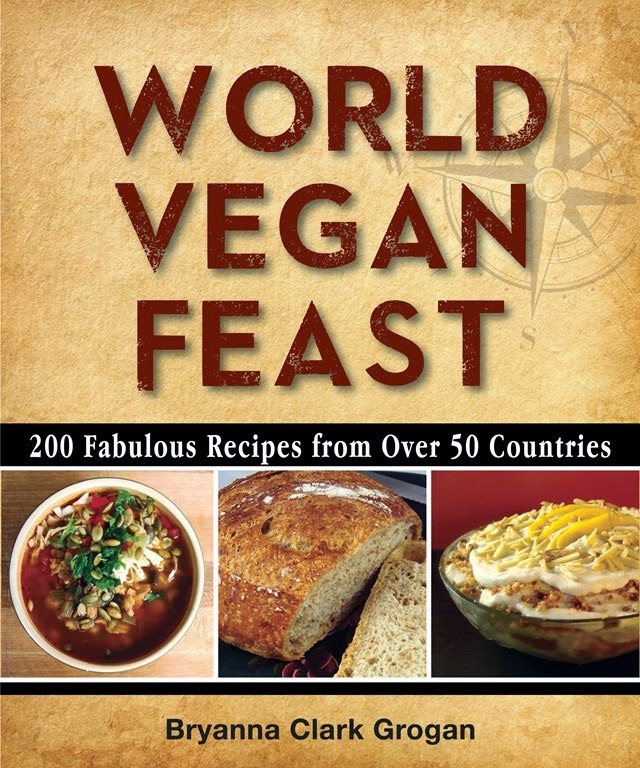 Nice array of recipes, albeit, complete vegan, but that can be easily altered for a vegetarian that eats eggs and dairy. I do have a question about some of your vegan recipes though. I'm curious as to why you use the words, "beef" and "sausage" when you profess to being a vegan? Why would you or any true vegan strive to obtain the taste of real beef or sausage, when you shun eating meat in any form? Not offended at all. Strang that you'd think I was from asking a simple question. 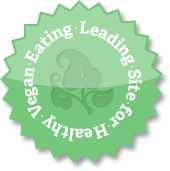 As a person who does eat meat, albeit very sparingly out of fat concerns, I was simply curious as to why vegans strive for the taste of meat, when they shun eating meat. A legitimate question, I think. And yes, you are correct, mock meat has been around for eons, Mothers 1950's thrifty mock meatloaf rises from memory on that one. I do have to disagree with your comment that most vegans and vegetarians grew up eating meat, so that's why they strive for the taste of meat. My vegetarian friend and extended family & the communal group they are part of, did not grow up eating meat or poultry, but did and still do, eat eggs and dairy. One more question. If I'm understanding correctly, your comment, "so I don't eat it. Not everyday, but quite often" means you still do eat meat occasionally? Jay, a "true vegan" can eat anything they want provided it does not involve dead animals or animal products. Most vegetarians and vegans grew up eating meat and familiar taste, texture, etc, albeit not exactly the same, is important to people. Meat subs can be important transition foods. Some of us simply eat beans, grains, vegetables, etc. ; some of us enjoy meat substitutes, too, happy that those products save animals. Not every day, but quite often. I never disliked meat-- I actually liked it alot. But I care about the animals and the environment, so I don't eat it. Making mock meats has been a culinary art in Asia for at least a thousand years, where chefs strive to "make the impossible possible". I don't understand why that offends some non-vegans. Most folks have no such problems with dairy or egg substitutes. Jay, I'm not offended-- sorry if I sounded that way. But I do get irritated with this question, especially from meat-eaters, because it sounds somehow "holier-than-thou" to me. And no, I have not eaten meat for 23 years! As you will see from my corrected comment (which unfortunately now comes after your second comment! ), I added the last 2 sentences in that paragraph as an afterthought, but added them in the wrong place and didn't proofread. I would never eat meat even occasionally. And I still stand by my statement "Most vegetarians and vegans grew up eating meat and familiar taste, texture, etc, albeit not exactly the same, is important to people". I understand that there are some folks who grew up vegetarian. I have a good friend who is a 3rd generation vegetarian (now vegan) from a Seventh-day Adventist background. And the publishers of most of my books, at the Book Pub. Co. on The Farm in TN, of course have children and grandchildren who have grown up vegan or vegetarian. However, the vast majority of vegans and vegetarians in North America, and probably Europe, too, have grown up eating meat. I have been at large veg conferences where the speaker has asked how many people in the hall grew up vegetarian and very few hands go up. And I'm not saying that all people who adopt a vegetarian or vegan diet crave meat substitutes, but judging by the enthusiasm for that type of recipe, or the popularity of those type of dishes in vegan restaurants, many do. But we all, it is hoped, expand our culinary horizons and palates eventually to include new and interesting (to each of us individually) legumes, grains, vegetables, fruits, etc. in our personal cuisine.